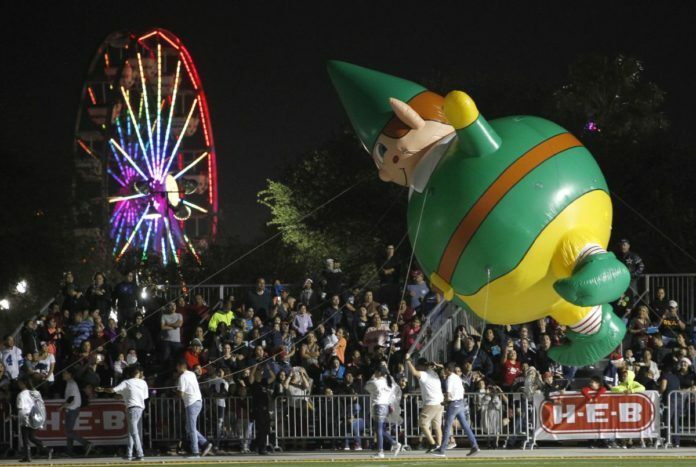 An elf balloon at the McAllen Holiday Parade on Dec. 3 in McAllen. The City of McAllen is looking for the best photos from the 2016 McAllen Holiday Parade, which attracted approximately 255,000 people from Texas and Mexico, according to a Wednesday news release. Parade officials encourage individuals to submit their best photos of floats, balloons, parade and crowd shots for a chance to win four VIP tickets to this year’s event. Email photos to mcn12@mcallen.net with name and contact info. Please use MHP 2016 photos in the subject line. The contest deadline is midnight Sunday, June 11.